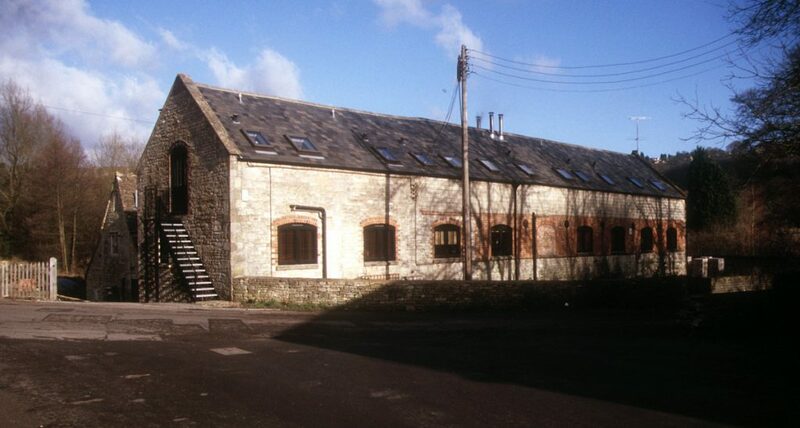 Located at Woodchester, most people know this mill as the old ‘walking stick factory’.In 1637 John Churches left this building to his grandson John, which was currently occupied by Thomas Mill, a fuller, together with a fulling mill containing two stocks and a grist mill. 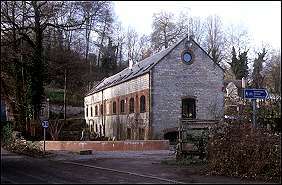 In 1716 John who was described as a clothier mortaged the premises which at this time housed a fulling mill with two stocks, a gig mill and a grist mill under one roof (see the glossary if like me you don’t have a clue what these terms mean!). During the ninteenth century the mill was run together with Southfields Mill by Woodwark and Bird, later by Bird, then by Bird and Bubb, then Bubb and Co and finally by C.T.Fox and Co !! Closer inspection shows that the building looks like it has been added to over the years, as the two story building has stone for the lower part, and red brick for the upper half. There were two undershot wheels and all the water flows through the two wheel pits.